Oyster Worldwide work with carefully selected organisations around the world to enhance the experience for you, the projects we support overseas and our beautiful blue planet. 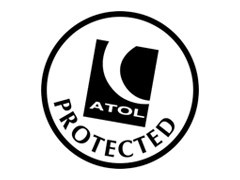 Oyster Worldwide has the highest level of financial protection through its ATOL protection. Our ATOL number is 9598. All trips booked with Oyster that include flights are covered by our ATOL. This means that if anything happens to Oyster, your money is protected and backed up by the UK Government. 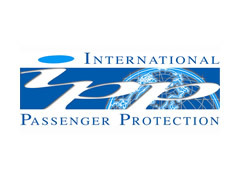 Oyster Worldwide participants who organise their own flights can be safe in the knowledge that money paid to Oyster is financially protected through International Passenger Protection Limited. You will not be stranded abroad in the very unlikely event that our company becomes insolvent. Oyster Worldwide actively supports ‘Travel Aware’ and its campaigns. For the latest travel advice from the Foreign and Commonwealth Office check www.gov.uk/travelaware and follow @FCOtravel on Twitter and Facebook. Oyster Worldwide has been a long standing member of Responsible Travel which promotes our worthwhile and ethical volunteering projects around the world and sets high ethical standards. Oyster Worldwide are accepted by the Duke of Edinburgh’s Award as an “Approved Activity Provider”, providing worthwhile residential programmes that reach a standard to enable young people to achieve their DofE Gold Award. We have financially supported TREE AID for many years, a charity whose main mission is to tackle poverty and improve the environment in Africa’s dry lands through planting trees. At least one tree is planted for every participant we send away. In addition to this, we encourage participants to offset their flights by £15, that we pass to TREE AID. Since 2007 up to 1000 trees per year have been planted through the offsetting scheme. We choose to work with partner organisations credited with Fair Trade Tourism (FTT) status. 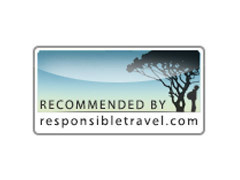 This is an accreditation for South African organisations which promote responsible tourism. The aim of FTT is to make tourism more sustainable by ensuring that the people who contribute their land, resources, labour and knowledge to tourism are the ones who reap the benefits. Oyster Worldwide is proud to be a member of the Gap Year Association, which aims to maximise the potential of young adults through accessible and meaningful gap year opportunities. We welcome their initiatives and have recently attended the annual conference. Rolandia, Romania’s main online travel agency, has recognised Oyster Worldwide as an Ambassador for Romania in their Supporting Romania campaign to promote volunteering and tourism in Romania. Oyster Worldwide is a keen supporter of the World Animal Protection (formerly World Society for the Protection of Animals). As one of the founding charities of the bear sanctuary in Romania which Oyster still supports today, we have been working with World Animal Protection since 2007. Oyster Worldwide work with the charity Millions of Friends, one of the first animal welfare NGOs in Romania. Founded in 1997, they work hard to save and protect bears, wolves, dogs and cats, and other animals. Oyster Worldwide is one of the very first organisations to join RIGHT-tourism’s pledge for responsible tourism. RIGHT-tourism is a campaign encouraging responsible, informed and humane travel. 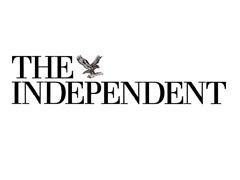 Campaigns include the promotion of animal welfare and animal rights around the world. Oyster Worldwide is pleased to work with journalists to spread the word about the benefits of taking a gap year or career break. 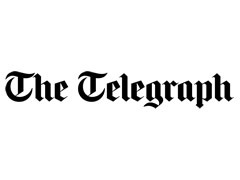 Oyster Worldwide has recently been featured in The Telegraph annual directory of the best gap year travel companies and websites. Oyster Worldwide is proud to have been awarded Gap Year Travel Specialists of the Year 2018 by SME News in the 2018 UK Enterprise Awards. Our performance has been carefully evaluated over the past 12 months, our commitment to innovation, methods of working and competition has also been assessed. Oyster Worldwide was awarded the ‘Best Volunteer Abroad Project’ by Tutorful, a company that specialises in linking the right tutor to the right student.